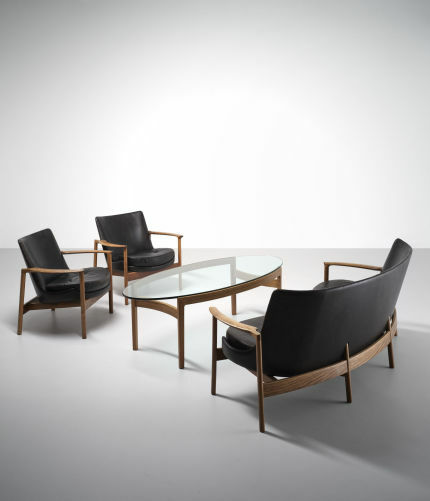 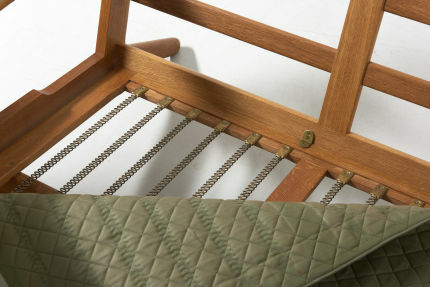 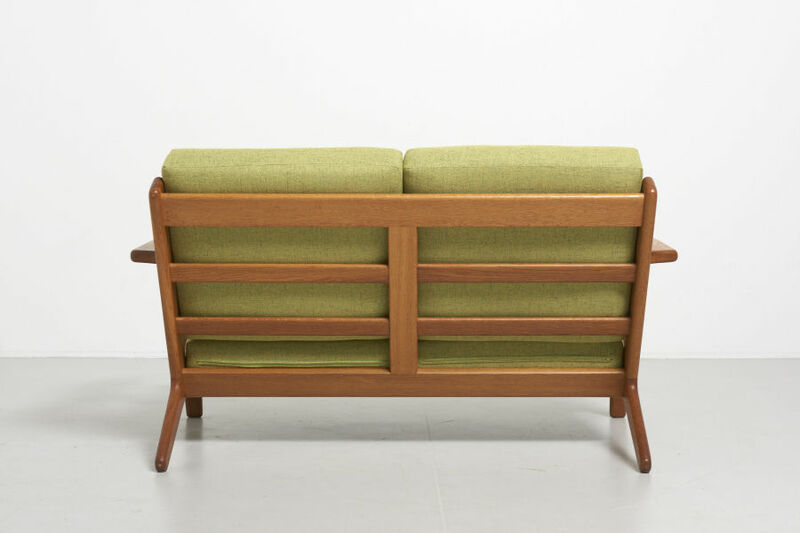 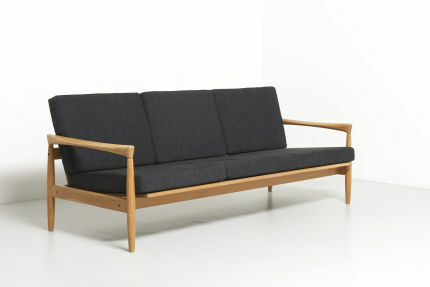 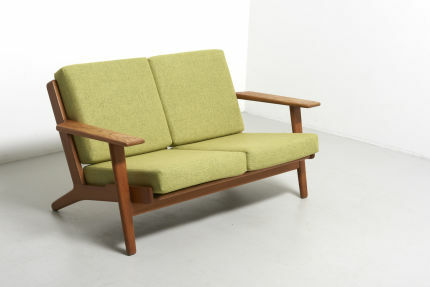 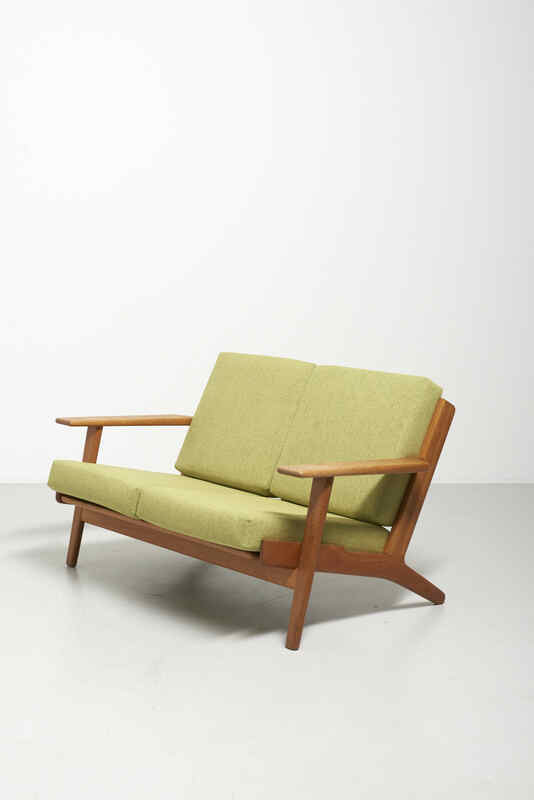 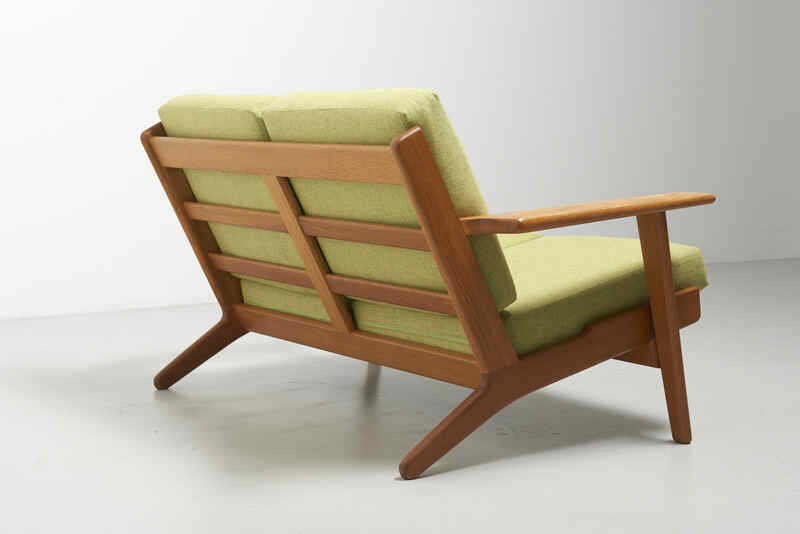 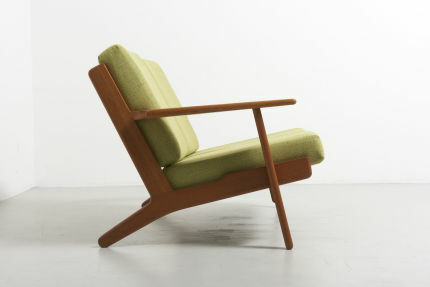 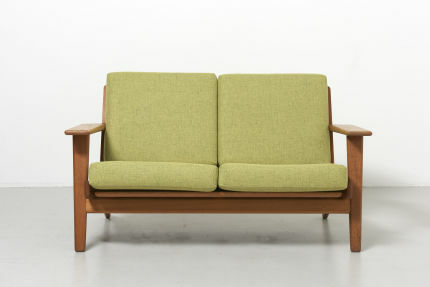 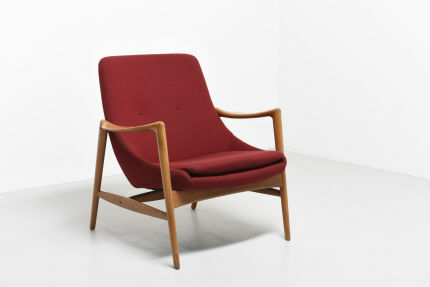 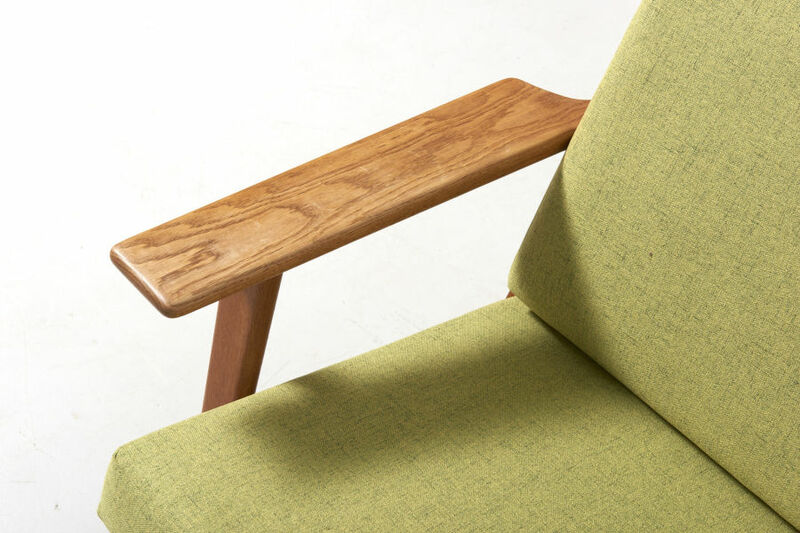 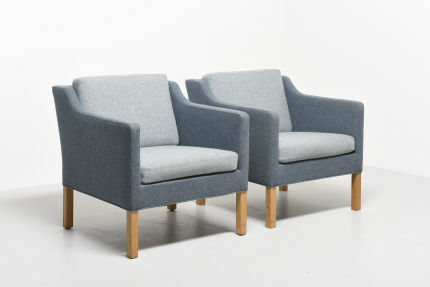 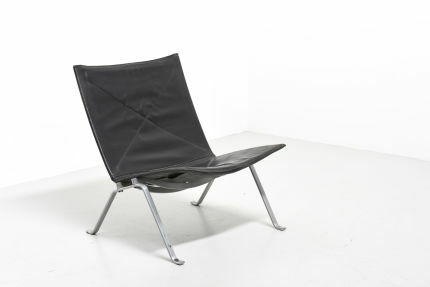 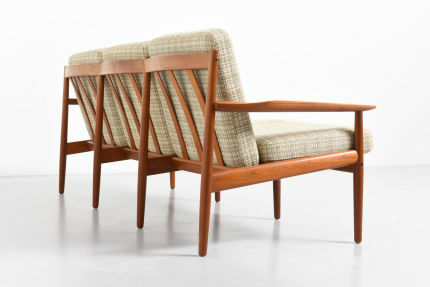 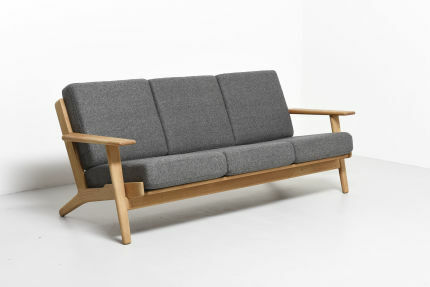 A rare 2-seat sofa designed by Hans J. Wegner in 1953. 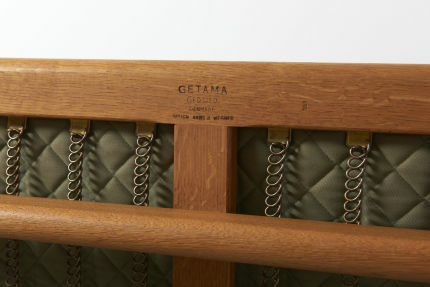 Model GE-290, produced by Getama in Denmark. 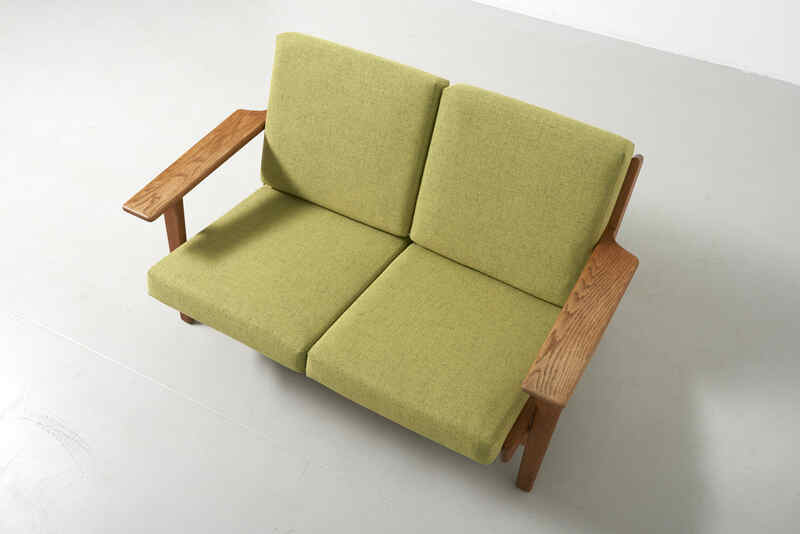 Solid oak frame with new cushions.